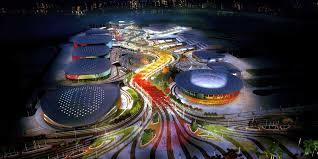 Olympic Games Rio 2016: The Rio 2016 Olympic Games opened the curtain with a grand opening ceremony. The meeting was opened with a great show that Brazilian culture was at Maracana stadium. The 2016 Summer Olympics (Rio 2016 in Rio de Janeiro) had their kick off with the opening ceremony, held at Maracana stadium. With the performance of more than 6,000 artists and the parade of 11,000 athletes from 207 countries, the opening party featured an imposing frame. 60,000 people packed a stadium, which saw its usual capacity as a sector was aimed at the location of the Olympic cauldron. Precisely, in charge of lighting the Olympic flame was one of the best kept secrets by the organization, finally honor went to former marathoner Vanderlei de Lima. The event began with a show designed by choreographer Deborah Colker, accompanied by American director Steve Boyd and Brazilian Fernando Meirelles, known for the film City of God. In addition, the filmmakers collaborated Andrucha Waddington and Leonardo Caetano. The show went over the highlights of Brazilian culture. He did not miss the samba, which was mixed with more modern rhythms like rap and hip hop. Through various performances, exhibited to the world the cultural diversity and history of the country in South America, a region that hosts the Games for the first time in history. 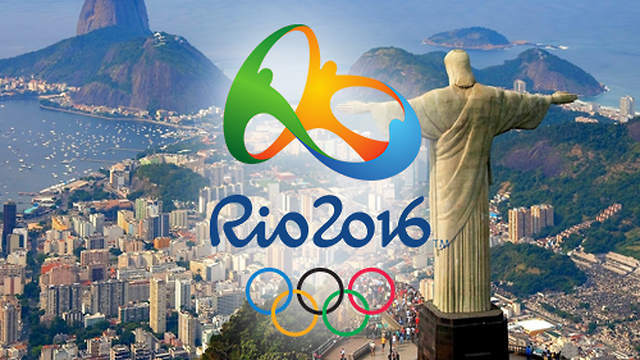 Rio Olympics 2016: Opening ceremony celebrates Brazil to open Games. The show started with a video of the city of Rio de Janeiro view from the sky and continued the countdown that led to the Brazilian national anthem, performed by the legend of samba carioca, the musician Paulinho da Viola. Then there was an exhibition of geometric art designed by artist Athos Bulcão and a performance that emulated the beginning of life, the first inhabitants of the Brazilian jungle and the arrival of the different cultures that now inhabit Brazil. Everything was done on a large screen on the floor in which images, some of them three-dimensional projected. The ceremony continued with a display of parkour, a tribute to the aviator Santos Dumont and the passage of the model Gisele Bundchen, who paraded to the rhythm of the traditional song "Girl from Ipanema". He continued with the current rhythms, sung by the most renowned artists of the local scene. They did not lack the carioca samba or carnival. Everything ended with an emotional and consciousness-raising message about the importance of protecting the environment. After the art show, he began the parade of the delegations of the 207 participating countries. As tradition, Greece was the first group to take to the track. Then they followed in alphabetical order. The Argentine athletes came in 11th place. Closed the premises, then the group of ten refugees, who first compete under the Olympic flag. Among the most prominent standard-bearers were tennis players Andy Murray (Britain), Rafael Nadal (Spain), Caroline Wozniacki (Dinmarca), swimmer Michael Phelps (United States) and basketball player Luis Scola (Argentina). Finally, after the speeches and oaths routine official start was given to the competition with the lighting of the cauldron. Former tennis player Guga Kuerten Gustavo and former basketball player Hortencia Marcari were the last two relays before Vanderlei de Lima, responsible for lighting the flame. The opening ceremony Rio 2016 was one of the biggest television events of the year. The event was seen by 4 billion viewers worldwide.